Robert Brown traces some 70 trails through the Colorado Rockies. Some are wagon trails up to the mines, often visible from the cities. Others are adventuresome outings, requiring preparation and skill. 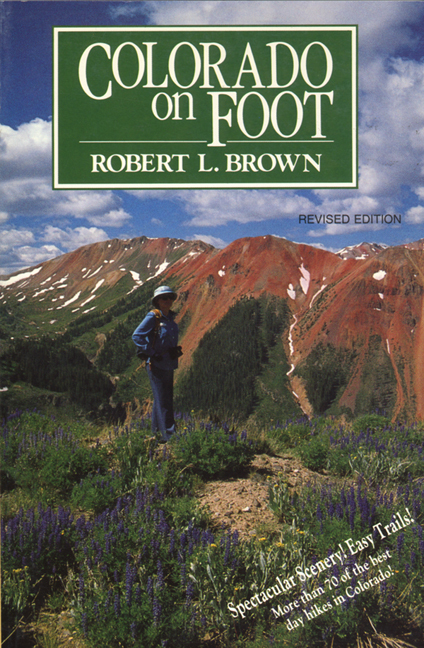 Brown explains the difficulty level of each trail, how to get there, and what will be found along the route. A detailed guidebook providing history, maps and photos of day hikes along spectacular Colorado mountain trails.